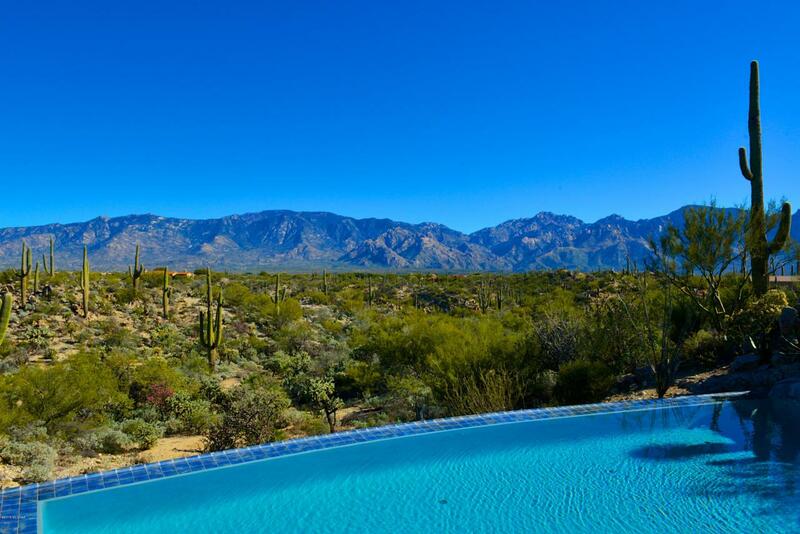 Exquisite custom residence with AWESOME east-facing Catalina Mtn views high above Honey Bee Canyon! 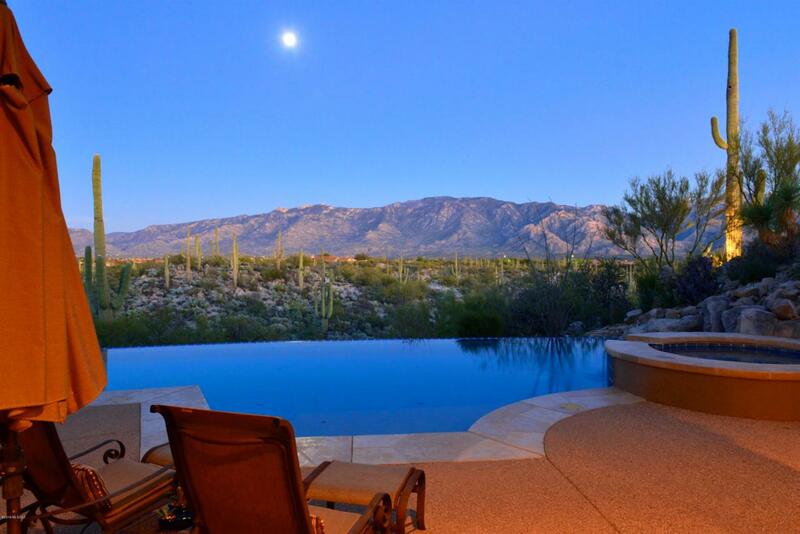 Stately stone-faced columns grace the contemporary architecture of this single-level 4,426 SF residence in gated Honey Bee Canyon Estates. 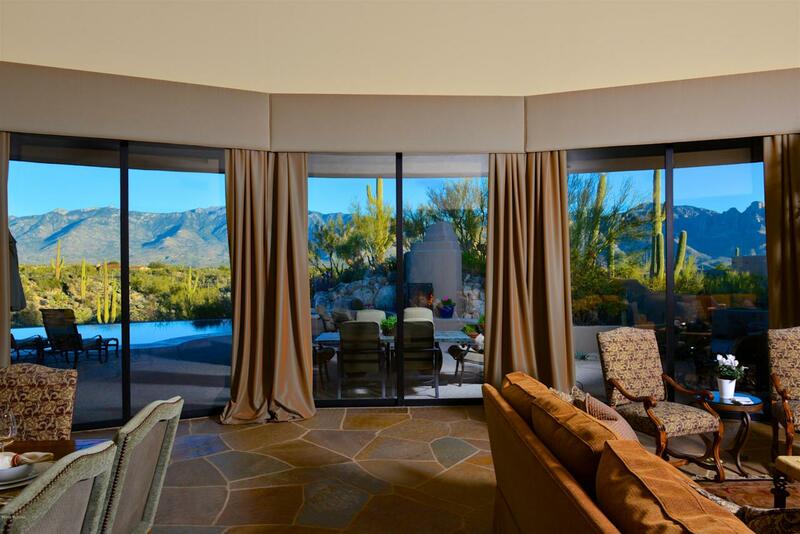 Walls of windows showcase majestic Catalina Mtn views across saguaro-studded Honey Bee Canyon. Timeless architecture by Ron Robinette with creative appointments by ASID designer Lori Carroll seamlessly meld stylish and comfortable design concepts to create a relaxation-oriented private retreat. 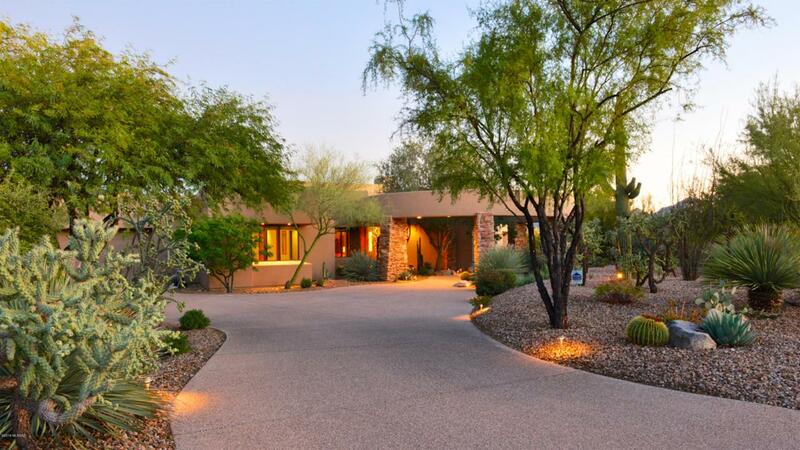 Amenities include: 3BR, Office or 4th BR, 5BA, formal living/dining, spacious family room kitchen (with Dacor, Asko & Sub-Zero appls, island bar & informal dining), sandstone floors, 3 Fireplaces, negative edge pool with spa, covered BBQ, 3-car garage. DAZZLING!